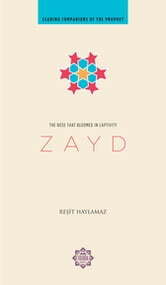 Zayd ibn Haritha, an emancipated slave of the Prophet Muhammad, was a sincere friend and a loyal servant. He was also one of the first to embrace the Islamic faith immediately after the revelations began. Under the guidance of the Prophet, he became fully equipped to undertake various significant roles in the community and rose up to become a commander of the army. This book tells us the exemplary life story of this distinguished personality, a role model before everyone to realize their human potential.